The Best Presentation blogs from thousands of top Presentation blogs in our index using search and social metrics. Data will be refreshed once a week. San Francisco About Blog Discover, Share, and Present presentations and infographics with the world’s largest professional content sharing community. Facebook fans 510,491. Twitter followers 256,279. Facebook fans 269. Twitter followers 1,855. San Diego About Blog The #1 Source For Presentation Design And Presentation Tips! We're a presentation design firm that creates awesome slides and shares practical tips on how to improve your presentations. Facebook fans n/a. Twitter followers 18,899. California, USA About Blog SlidesCamp is a platform dedicated to simplifying process of creating presentations. SlideCamp enables your entire team to cut down on inefficiency, and get more done by eliminating presentation frustration. It features a great library of pre-made, beautifully designed slides. SlideCamp is a place where we share all our articles, ideas, insights, highlights, announcements, events, tips and tricks. Facebook fans 388. Twitter followers 93. Baton Rouge, LA About Blog Designing and delivering experiences through Presentation Design, Presentation Training, and Video Production. Facebook fans 2,335. Twitter followers 1,620. London, Sydney, New York About Blog The Best Place to Find Public Speaking & Corporate Presenting Resources, Articles, Tips, Downloads, Products and Reviews. Facebook fans 158. Twitter followers 635. Singapore About Blog HighSpark is a presentation consulting and training company that services leaders from Fortune 500 companies that seek to communicate more clearly and persuasively. We help corporate leaders tell their stories in a more powerful way through visual presentations. Facebook fans 1,749. Twitter followers 98. Hyderabad, India About Blog A blog about Presentations and PowerPoint. Full of simple and practical tips on how to plan your content, design slides and deliver a presentation. Facebook fans 467. Twitter followers 548. About Blog The Presentation Guild supports presentation creation and support professionals, strengthens their support network, and cultivates their skills. Facebook fans 445. Twitter followers 927. Nashville, TN About Blog Pitch Perfect Presentations. Ecos is a presentation tool that keeps teams aligned and on-brand. Marketing controls the message while Sales can quickly create presentations that get results. Facebook fans 66. Twitter followers 791. Facebook fans n/a. Twitter followers 2,922. CONGRATULATIONS to every blogger that has made this Top Presentation Blogs list! 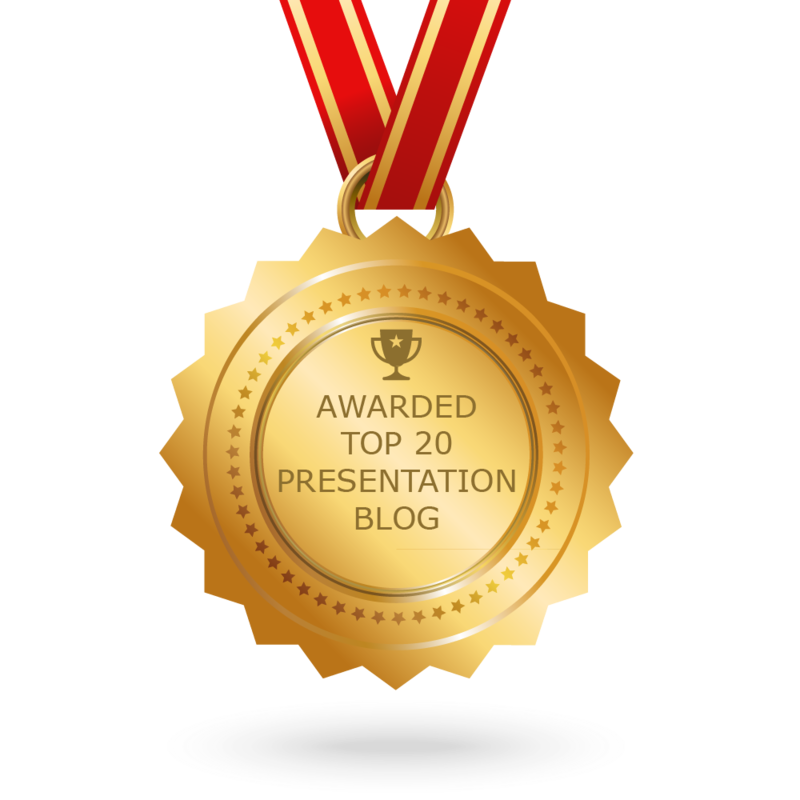 This is the most comprehensive list of best Presentation blogs on the internet and I’m honoured to have you as part of this! I personally give you a high-five and want to thank you for your contribution to this world.